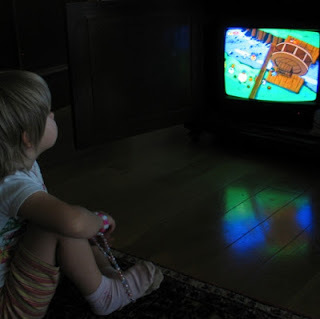 Will Children's Programming Get The Next Big Recommendation Engine? Make no mistake, there’s a battleground looming and the territory being fought over is children’s viewership. And, a recommendation engine just might be what wins the battle. Yesterday, on the heels of losing Viacom’s children’s TV shows, Netflix announced the debut of Netflix Families—a website intended to draw attention to the company’s family-friendly content. Significantly, the site includes recommendations to guide both parents and children—as well as tips on how to stream along with Netflix promotional content. As one might imagine, Amazon—one of Netflix’s largest competitors—wasn’t about to take this news sitting down. On the same day as the Netflix announcement, Amazon made an announcement of their own. Amazon’s Kindle FreeTime Unlimited product, which aggregates all of Amazon’s children-related content for both parents and children, announced the procurement of additional children’s content from Disney, Warner Brothers, and other providers. Clearly, the battle lines have been drawn. But as the competition heats up, how will the actual nature of recommending programming to children come into play? Currently, Netflix’s effort is offering recommendations, while Amazon claims to filter out unwanted programming and offer content on an age-appropriate basis. So, how will the next wave of recommendation engines address serving up children’s programming? Recommendation vs. filtration is one hurdle. Recommending a program would require a recommendation engine to serve up specific programs to meet the specific desires of a viewer. Filtration, on the other hand, keeps certain programs outside the consideration set altogether. Allowing a recommendation engine the flexibility and versatility to incorporate viewer parameters is another hurdle. Because, after all, all recommendations will be different because two parents can have very different ideas about what is acceptable for their children. Quality of recommendation is another consideration of a recommendation engine for children. Is the source of the recommendation an algorithm that measures critical benchmarks or is it a recommendation from a trusted source such as a children’s programming watchdog group? As the content providers begin to compete more and more for the children’s section of the viewing market, the ability to serve up recommended or “safe” programming for children and families will become a more and more important part of driving viewership to content. It will be no surprise that FYI's resident expert, Quality Assurance Manager Gordon McFarland, has done some thinking on the subject. "This is really more an issue of philosophy or approach than technology. Rather than just offering up associated programming, we strive to provide an element of discovery when offering up possible selections," Gordon informed. "Naturally, we're going to observe the preference criteria of the parent or child, but while we do that we're going to bring additional appropriate choices into the consideration set--hopefully things you haven't considered yet but will be stimulated by." At FYI, we’re constantly evaluating data with our end user in mind, so we’re constantly looking at ways program information can better guide viewers to their program of choice. Click below, and we’ll get our own recommendation engine to work with suggestions on how to maximize your efforts.